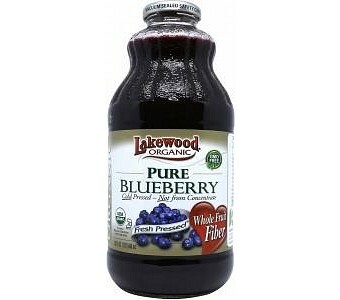 Lakewood's Pure Organic Blueberry Juice contains more than 1 kg of fresh blueberries in each bottle. The juice is 100% freshly pressed from organic, lush blueberries. This delicious juice is loaded with essential micro-nutrients, anti-oxidants, Vitamin C and potassium. The diversity of blueberries makes it easy to incorporate them into your daily nutrition routine - they are great in smoothies, added to muesli or baked in muffins. Their anti-oxident properties boost the immune system, assist in urinary health, and have anti-ageing properties. They are also a natural anti-inflammatory as well as help to lower cholesterol. With all of these health benefits, they really are a wonderful superfood to include in your diet!